Nearly 50 million Americans have been given the diagnosis that they suffer from some form of arthritis. 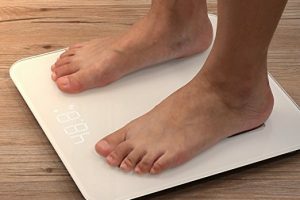 This is according to the latest statistics from the Arthritis Foundation and it accounts for people over the age of 18 and accounts for the leading disability in the United States. This doesn’t mean that children are not susceptible to arthritis. Nearly 350,000 infants and toddlers have some form of arthritis. This is not just a silent disease either. Many people cannot function on a daily basis because of the effects of arthritis. Nearly a third of people that are diagnosed with some form of arthritis have difficulty functioning at work. This results in sick days and employees who cannot complete their activities which have an indirect impact on our economy as well as the mental and physical impact on the individual. Pain associated with arthritis can become chronic in as little as three months after showing symptoms of the disease. This is a symptom that does not necessarily go away and in many cases can only be managed and not alleviated. Many individuals will try to ignore this symptom until they can’t bear the pain or it interferes with their work and their life in general. Many doctors will suggest arthritis gloves manage the pain and help patients to not rely so much on pills to alleviate the symptom. One underlying symptom of arthritis is inflaming of the blood vessels within the body. 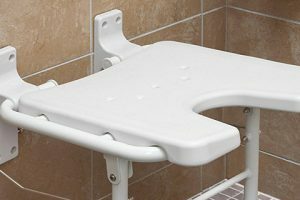 This creates blockage so that blood has a hard time circulating to all your extremities like your legs and hands. The result is difficulty walking, extremity pain, and some time an impairment in the functions of your hands that you perform every day, especially with repetitive motions. 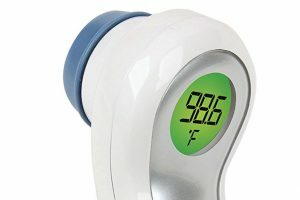 Arthritis gloves help with this by compressing the hands enough to increase circulation. Instead of carrying on arthritis creams in every purse or glove box in your car just so you will have some kind of relief once arthritis pain gets too much to bear, wearing arthritis gloves are a component of managing the pain instead of waiting for the pain to begin. It is much easier to have arthritis gloves on before you begin an activity or while you are at work then to hope that you did not forget to throw a tube of medicated lotion or bring your pain-reducing pills with you. Once you start to wear arthritis gloves, you will find that as they help to prevent the symptoms of arthritis pain and inflammation, they also are extremely comfortable in all types of activities including gardening, typing, writing, and handling everyday tactile activities. Many styles of these types of gloves are fingerless for additional flexibility but still cover your joints for maximum relief. 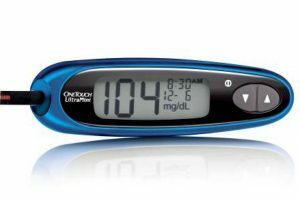 Taking any kind of prescription medications usually means that it is accompanied by sometimes pages and pages of possible side effects of the drug. Oftentimes, it feels like these side effects are worse than the disease itself or the symptoms caused by it. When you choose to wear arthritis gloves, there are no worries about side effects from the medicine like becoming too drowsy to drive or operate machinery at work, or possibly feeling nauseous all day. This style of glove is very lightweight and is known for its help with circulation issues. 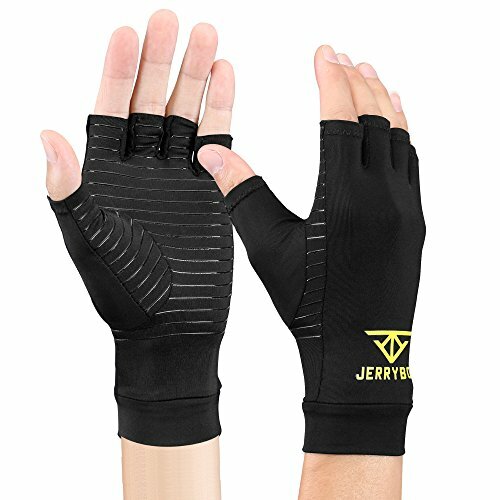 It is fingerless for additional agility with activities involving working with your hands either at work or at home, and it includes in its design small gripper nodes all over the palms of the gloves for additional help with picking up objects. It is a cotton and spandex blend material and comes in both men’s and women’s styles. 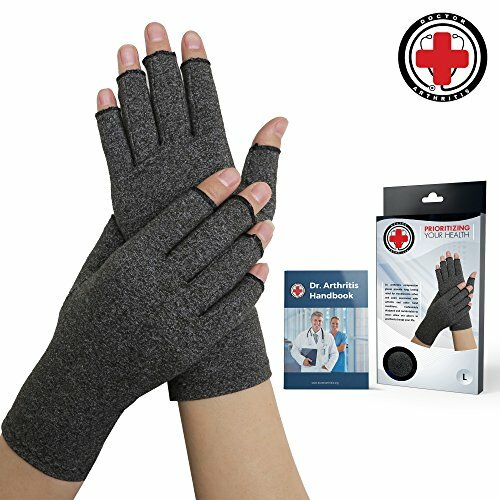 Within the design of these gloves are magnets that are promoted as a natural healing component that soothes aches and pains. This arthritis glove is designed with copper ion elements within the material and one of the highest percentages of this in any glove on the market today. 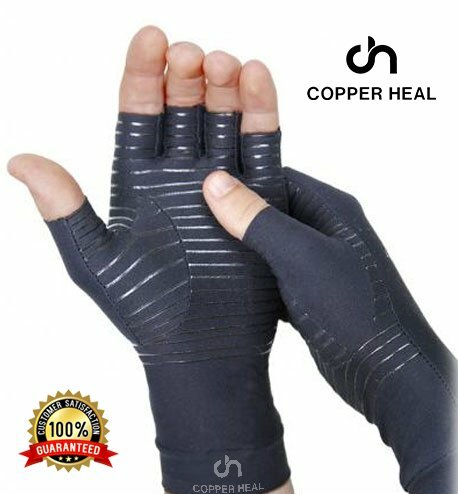 Copper, as a natural agent, helps with inflammation and eases chronic pain and copper ions are used instead of copper oxide in the manufacturing of the gloves, a much better quality of copper. They are designed with finger material and to be worn throughout an entire day and through the night. This is also a brand that is used routinely by sports teams to alleviate pain and inflammation from injuries such as sore muscles, tendonitis, and stiff joints. 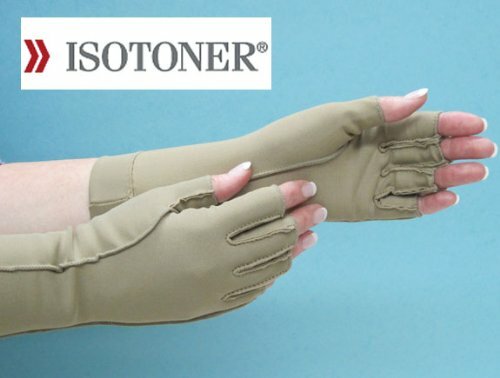 This manufacturer developed these gloves on the advice of medical doctors who specifically focused on designing an arthritis glove with the symptoms of arthritis in mind. 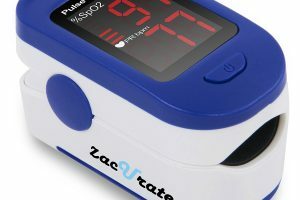 It actually comes with a handbook written by the same medical professionals that designed the product. It contains information on arthritis symptoms and how to use the arthritis gloves to manage them, and also includes a list of hand exercises you can do while you wear the gloves. 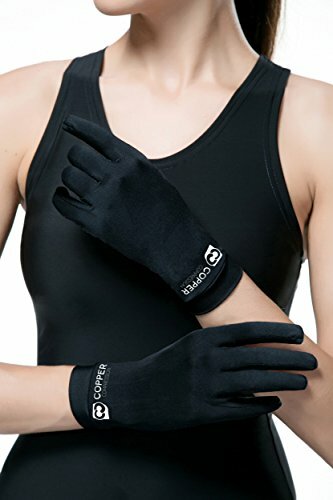 The material is a cotton and nylon blend and is comfortable enough to wear all day because the additional spandex material not only creates optimal compression but adds to the comfort of the fingerless gloves. 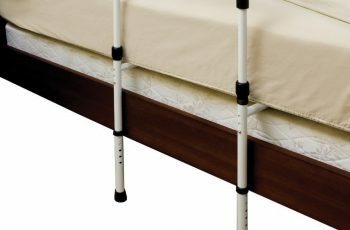 The IMAK style is specifically comprised to relieve stiff joints that arthritis creates. 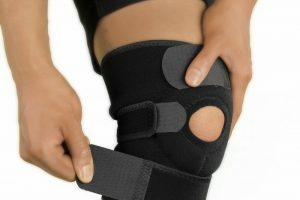 This product was designed by an orthopedic surgeon and the Arthritis Foundation has deemed this style the best one to wear for ease in performing daily activities. 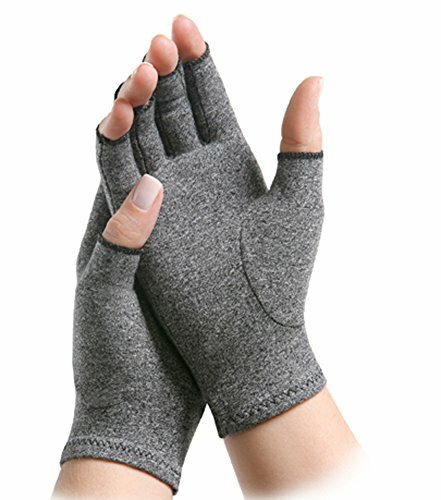 It has a compression that is mild but keeps your hands warm while increasing your circulation. It also has healing properties because it is made with a breathable cotton material and can be worn twenty-four hours a day. 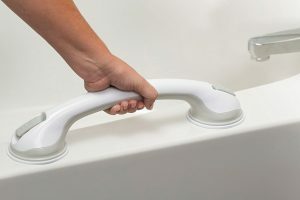 The open fingertip design allows for convenience with everyday tasks at home or at work. With 88% of copper material infused into this fingerless product, it gives relatively good level of relief to stiffened joints and even osteoporosis symptoms as well as arthritis pain and inflammation. It provides mild compression to the hands and promotes a warming quality that will work on increasing blood flow which will reduce any resulting pain that might occur. 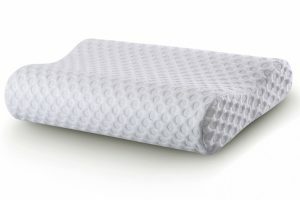 It is also known for its anti-bacteria qualities even after they have been washed on a daily basis. 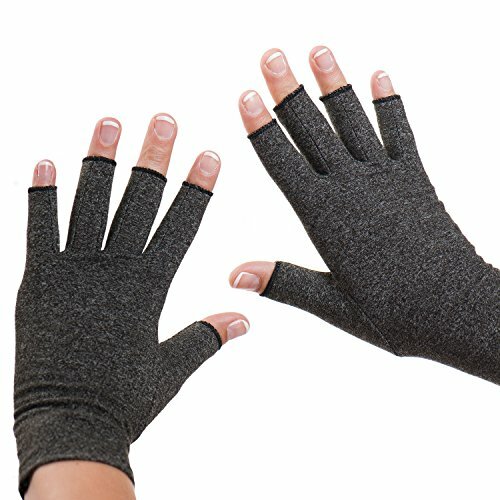 It is also one of the few arthritis gloves that can be purchased in four sizes up to extra-large. 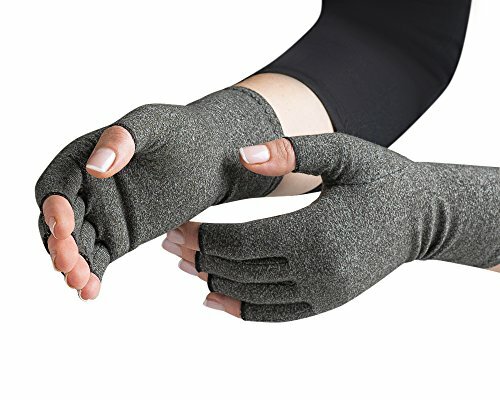 Known for its effectiveness not only with arthritis symptoms but for carpal tunnel issues, this is an extremely form-fitting glove that comes in multiple sizes with an open finger style for ease of performing any daily tasks. The manufacturer promotes this arthritis glove as a balance between needed compression for arthritis symptoms related to circulation and a temperature-regulating material of cotton and spandex blend that will allow you to wear the gloves all day in comfort. Vive has also designed a specific stitching in these gloves that reduce any irritation over long periods of wear. 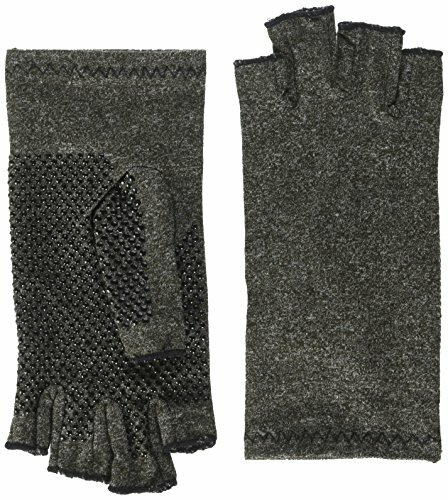 These fingerless arthritis gloves are known for their focused support on pressure points within the hand and wrist area. So, they will give additional support as well as warmth to areas of the thumb, wrist, and knuckles. 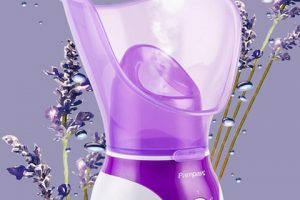 They proved a mild compression to the hand as well as agility in design for multiple activities including even tying your shoes, laundry, or opening a jar. They are made of a cotton-spandex breathable blend that fits snugly but won’t cause excessive sweating, and can be washed with other items in the washer and dried either on a line or in the dryer without worrying if they will shrink. These are all nylon gloves with an optimal compression component, so they are completely waterproof and can be worn during athletic activity. 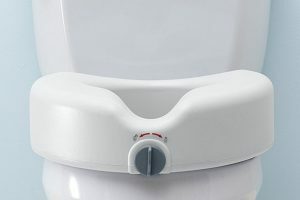 They have an additional copper fiber element that is anti-bacterial and anti-mite. It also deodorizes and self-cleans. The manufacturers of this product also claim that is will improve your immune system as well as alleviate any arthritis symptoms including pain and swelling in your joints. 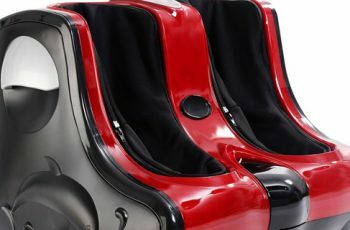 They are also ergonomically styled for active wearers with optimal range of motion ability and have an anti-slip design. 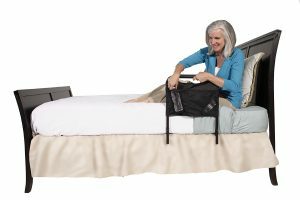 They also come in five sizes from extra small to extra-large and are designed to be for active men as well as active women who suffer from symptoms related to arthritis. The Dr. Kay’s gloves will relieve all the symptoms of arthritis including pain, stiff joints, and swelling, and are specifically designed to be worn 24 hours daily. 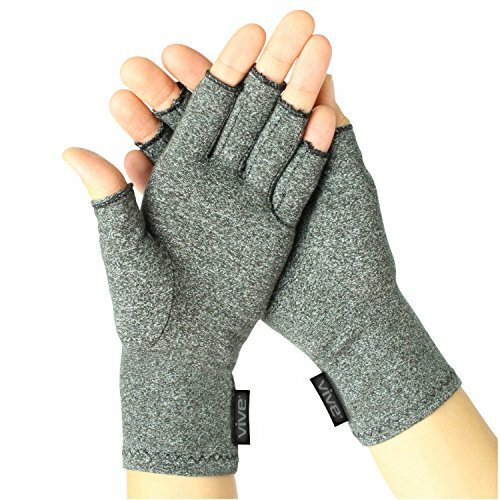 They are some of the most comfortable arthritis gloves for this reason and have a fingerless design in an extremely lightweight 95% cotton material blended with only 5% spandex to create a very breathable knit blended pair of arthritis gloves. They also are a one-size-fits-all product. Because of the knit material, it is recommended that they are washed only in cold water and line dried. These are a mostly all-nylon, open-fingered design arthritis glove with less than 30% spandex material blended in. They are smooth and form-fitting and are great for intricate activities like knitting or sewing. 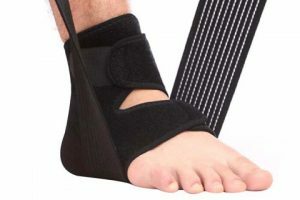 They are recommended by many occupational therapists for their patients to wear to help with regaining their full motion after an injury or stroke as the compression quality of the product promotes fast healing, relief from pain, and better circulation.